Welcome to all pokemon fans. Explore the newly discovered Shano Region. Your goal as a trainer is either to go to each city and win the badges to become champion, or your goal is to be the top coordinator. Now let your legacy begin. After letting his pokemon rest at the pokemon center Aquamarino decided to continue his journey at the ocean which was just up ahead. Aquamarino began walking with Graveler by his side and With Dratini on his head, "Guys I wonder what pokemon we will find today". Just as Aquamarino got to the ocean he stopped to sit by the lake and hope for something to come up, "Wait a minute...I need my fishing rod". Aquamarino grabbed his fishing rod and threw the hook into the water, "I am not a good fisherman but I will catch a great water pokemon today. When you pulled the rod back, you had landed not one, but two total Pokemon. One the ends of the line was Magikarp which was bit by a Carvanha. Magikarp than splashed to do nothing, but Carvanha took out Graveler for a bit with a quick Ice Fang which freezed it. Aquamarino yelled, "That was awesome!. Aquamarino turned to Graveler again who was knocked out, "But your gonna pay for that". 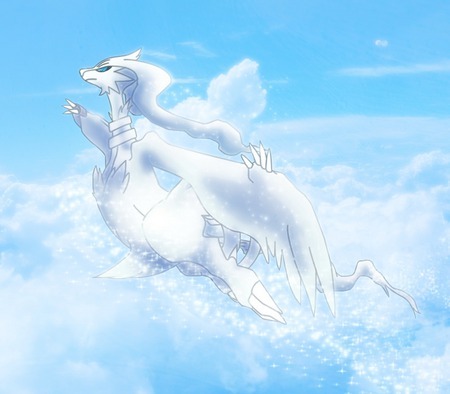 Aquamarino looked over at Dratini". Dratini use leer on Carvanha alongside with thunder wave to stun him. Carvanha jumped back into the water to dodge this attack. After the attack had missed it jumped back onto the land and launched a powerful Ice Fang attack on Dratini while Magikarp splashed in the water splashing water around.